Welcome to the Hifluence Show Podcast where you can learn from my one-to-one conversations with pioniers and change makers in Flanders. And this episode, my dear listeners, is a special one as it is the first Hifluence Show ever in English. That is simply because my guest on this show is an extraordinary North-Irish woman living in Ghent. Nell Watson is an engineer, entrepreneur, and futurist thinker. She has a longstanding interest in the philosophy of technology, and how extensions of human capacity drive emerging social trends. 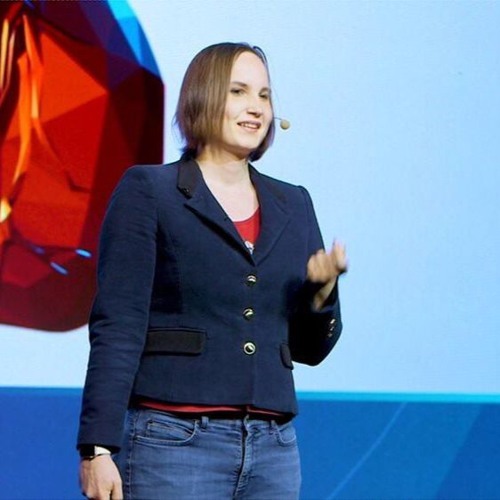 She lectures globally on Machine Intelligence, AI philosophy, Human-Machine relations, and the Future of Human Society, serving as Associate Faculty at Singularity University and a member of BCS, The Chartered Institute for IT. In this absolutely incredible conversation I had with her we discuss machine intelligence, machine ethics and the importance of optimism! I kid you not, Nell is one of the most captivating people I ever met and I can almost guarantuee that listening to our conversation will change your perspective on the future of mankind. So her she is specially for you: Nell Watson!